Fulham Football Club has announced a new main sponsorship deal with financial trading services company FxPro, replacing consumer electronics company LG. FxPro Financial Services Ltd will join the club as its main sponsor from July, on a three-year deal. The club said the multimillion deal was the biggest in its history, but was unable to disclose a specific figure. It follows Fulham’s recent successes in Europe, where the club reached the Europa League final, and secured its highest Barclays Premier League finish. 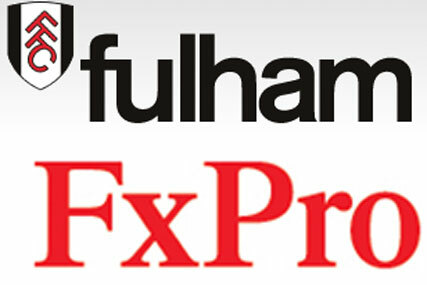 FxPro will appear on Fulham’s first team shirt until the summer of 2013, and will also support a variety of Fulham Foundation initiatives, with particular focus on Fulham Deaf FC. In 2005, Pipex, the UK's fifth-biggest ISP at the time, signed a £2m two- year shirt sponsorship deal with Fulham FC. FxPro was set-up in 2006 and is title sponsor of the IPC FxPro Cyprus rally, as well as a partner of the Virgin Formula One team and the Official Forex Trading partner of the FIA World Rally Championship. Earlier this month, FxPro announced a deal with Aston Villa Football Club to become its principal commercial partner from July 2010, in a three-year deal. As part of the agreement, FxPro will appear on the club’s kit, including next season’s shirt. Alistair Mackintosh, chief executive at Fulham FC, said: "Clearly this has additional benefits for Fulham’s global reach which, following the European success of last season and the recognition the Club received worldwide, is something that we are extremely excited about."